Last Sunday I noticed that The Sunday Times AA Gill Award had been launched. AA Gill was The Sunday Times food critic who died from cancer in 2016, and loving both food and his acerbic wit, I miss his reviews bitterly. Gill was dyslexic and the organisers say … in line with this, your spelling and grammar will not be taken into account, but your entry should be bold, insightful and witty. Your entry must be unpublished and between 1000 and 1200 words. The winner will receive £5000 plus publication in The Sunday Times Magazine. Two runners up will receive £500 and £250. Entry closes on 17th April. Come on folks, it would be lovely to have a Writers Bureau student up there at the awards ceremony! There are tips for how to write reviews in the course material, but your writing skills and insights will need to be honed to perfection to be in with a chance. That’s not the only interesting competition that I’ve spotted recently. The Bristol Short Story Prize 2019 is also open for entries. Stories can be up to 4000 words (longer than most competitions) and the best 20 will be published in The Bristol Short Story Prize Anthology. From that shortlist there will be a first prize of £1000, a second prize of £500 and a third prize of £250. The others will each receive £100. You can enter online or by post and the fee is £9 per story. The closing date is 1st May. My small grandson will be coming to stay next week and I’ve been looking round for some good books to read together. Thirty-odd years ago, when my son was little, he couldn’t resist Roger Hargreaves’ Mr. Men books; so I’ve been taking a trip down memory lane. And I wasn’t disappointed. They stand the test of time remarkably well (dare I risk saying ‘iconic’?) 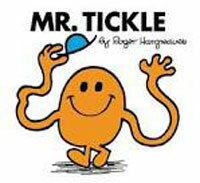 – I just hope Mr. Tickle and Mr. Happy bring as much pleasure to this generation as they did to the previous one! My guest next week is Sian Townsend (writing as Maritta Jayne) who will be following last month’s post about self-publishing with her own experiences in that field. Finally, before I close – last call for our own 2000-word Short Story Competition. You’ve still time to enter, but the clock is definitely ticking as the closing date is 31st March. This entry was posted on Friday, March 22nd, 2019 at 9:00 am	and is filed under Competitions. You can follow any responses to this entry through the RSS 2.0 feed. Both comments and pings are currently closed.